In what looked like a hard loss, the Bulls went on a late inning tear to come back and defeat Mt. 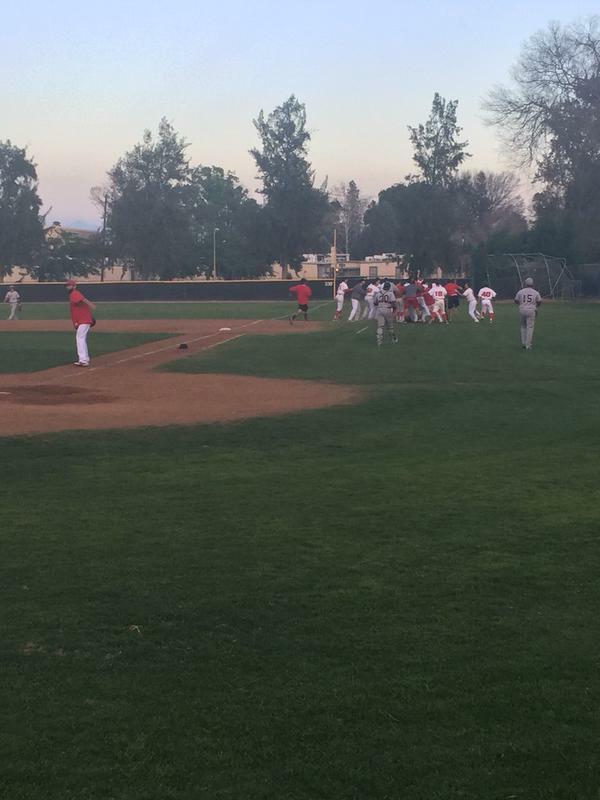 San Antonio College with a walk-off single in the team’s first home game of the season. After losing to College of the Canyons in its first game, the Pierce College baseball team continued playing on the road, going .500 in its first four games. The Bulls faced Citrus College on Wednesday, Jan. 28, losing in a close 7-6 match. The team went on to win its next two games against East Los Angeles College, 9-6 and Glendale Community College 7-3. Bulls freshman left-handed pitcher Derek Galvin started the first home game on Thursday, Feb. 5 with a no decision in the 12-11 victory. He struggled putting hitters away, giving up two runs in the third inning, and four in the fifth. Until the bottom of the eighth, the game belonged to Mt. Sac. The Bulls were trailing by ten runs, and were running out of at-bats. It seemed an impossible task to comeback from such a big deficit, but Pierce began to rally after Bulls freshman outfielder Jason Rowe reached on an error. Sophomore center-fielder Joe Moran flew out to right field, bringing in Rowe. The ninth inning brought in six Bull runs and ended with sophomore infielder Angel Cruz batting for the second time in the inning. It was a team effort, with Rowe coming out heroic, singling in the 12th and winning run. “It just felt great to help the team out as best as I can,” Rowe said. But Rowe wasn’t the only one whose effort changed the outcome of the game. Bulls freshman right-handed pitcher Devin Joblove pitched a hitless ninth inning, keeping the momentum alive for his team. Picketts led his team to a comeback victory, seemingly one of its best.